Contact the Dean of Students Office directly if you are concerned about a student or you observe a student who appears to be in distress. You will be connected with a member of the Critical Incident Case Management Team who will gather basic information about your concerns, including the name of the student and any contact information that you have. The team member will discuss options for addressing the behavior, including steps that you can take and steps that the team member will take on behalf of the Dean of Students Office. You are encouraged to report any incident that is of concern to you or any student who appears to be in distress. If you feel there is an immediate threat, call 911 or UMPD at 734-763-1131. The Dean of Students Office (DOS) is a central place for students, parents, faculty, and staff to seek assistance in navigating the complex issues of campus life; receive support; evaluate individual needs and review options for problem solving; and learn about available resources for a student struggling with a challenge or unmet need. Dean of Students staff members provide developmentally appropriate assistance to individual students and student communities who are experiencing life situations that pose a barrier to taking full advantage of their Michigan experience and assist students as they integrate the rich array of available resources to help problem solve concerns and enrich their student life. The Dean of Students staff members possess an effective understanding of University policies, procedures, and community life and can work with individual students, student groups, parents, staff, and faculty to address conflicts, eliminate barriers impacting a student’s pursuit of educational and personal goals, and identify and connect with campus and community resources that promote restoration and success. Staff members work cooperatively with students to identify and plan strategies to address areas of concern or unmet needs and to affect problem resolution. A critical incident is defined as an emergent situation impacting a student’s Michigan experience that requires swift, supportive, student-centered, direct intervention to seek a resolution or address the issue that is impacting the student. A student of concern is a person who has demonstrated concerning behaviors that are having an impact on their campus life or a student who experiences a critical incident and needs assistance or support. DOS staff members will work with students of concern who come in to the Dean of Students Office and/or who are brought to DOS’ attention by campus partners, family members, students, and/or other community members. Critical incident case management will involve on-going interventions with a student, the creation of direct connections with campus and community resources, and continuous follow-up until the issue is addressed or resolved appropriately.  The Dean of Students Office is committed to ensuring that students who are parenting have the support and resources to successfully navigate their experience at the University of Michigan. Learn how you can support students who may be experiencing an interuption in their Michigan experience. Dean of Students staff members often assist students who are coping with physical illness or injury and mental health conditions that may impact all aspects of student life, academics, housing, relationships, campus activities, and disability needs. Dean of Students staff partner with students to assist them with accepting, accessing, and managing their health care situation. Many college students experience mental health distress or illness while away from family support. The Dean of Students staff members are able to guide students, parents, spouses, faculty and staff to a number of supportive options on and off campus. When a student dies, the Dean of Students Office is involved in a variety of functions in response to the tragedy. Our responsibility extends to the parents/spouse/domestic partner/roommate(s)/close friends of the deceased and to the campus communities impacted by the student’s death. The immediate family directs much of this process with the support of Dean of Students staff. Please contact our office with information regarding any student death. The Dean of Students office regularly receives reports of students who have stopped participating in some aspect of campus life. This may be the first indication that the student is coping with a challenging situation that is impacting his/her ability to participate in campus life or it may mean that the student has chosen to withdraw from campus life for personal reasons. The Family Educational Rights and Privacy Act (FERPA) is a Federal law that protects a student’s educational record and outlines how that record may be released to a third party, including parents or guardians.